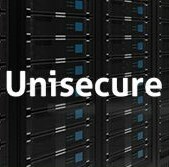 Unisecure Data Centers is Top Web Site Hosting Service providers in USA. We have our own Data Centers at Conshohocken and Philadelphia.We provide services for Cloud Hosting, Dedicated Servers, VPS hosting and Colocation Services with high quality, reliable managed services and Support. Our Technical expert are 24/7 available for Support or queries. We are having around 50,000 customers in 17 Countries.